Visual Interfaces for Mobiles @ NCSU: Find: Nokia CEO Stephen Elop rallies troops in brutally honest 'burning platform' memo? 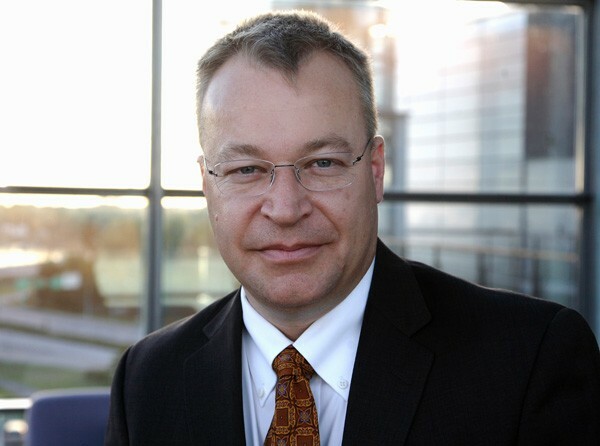 Find: Nokia CEO Stephen Elop rallies troops in brutally honest 'burning platform' memo? Elops diagnosis is correct. How about feb 10's medicine? Ben. "The first iPhone shipped in 2007, and we still don't have a product that is close to their experience. Android came on the scene just over 2 years ago, and this week they took our leadership position in smartphone volumes. Unbelievable." This is just one of many, many pieces of stark knowledge allegedly dropped by recently-appointed Nokia CEO Stephen Elop -- formerly of Microsoft -- in a roughly 1,300-word memo to the company's employees that we've received today. Though we can't vouch for the authenticity, it's notable that the memo contains a portion previously reported by The Register and heard by sources at TechCrunch Europe, so it would seem that we've simply received the whole thing. Elop goes on to suggest that his company is "standing on a burning platform" and must "change [its] behavior," suggesting that the adoption of a non-homegrown platform like Android or Windows Phone 7 is a more realistic possibility than ever before. Update: We've now heard from multiple trusted sources that this memo is indeed real, and was posted to an internal Nokia employee system. That makes it one of the most exciting and interesting CEO memos we've ever seen -- and we're absolutely dying to see how Elop plans to shake things up. Overall, the communique laments Nokia's lateral movement while Apple and Google have started eating its lunch on the mid- and high end and Shenzhen-based off brands have started to cut into its traditional dominance in emerging markets, leaving Espoo with virtually zero market leadership. It's a stark revelation that seems befitting of a man brought in from the outside -- he's neither Finnish, nor raised in the Nokia system -- and he promises to start revealing the way forward this Friday at the company's Capital Markets Day event where grandiose plans have been unveiled in the past.